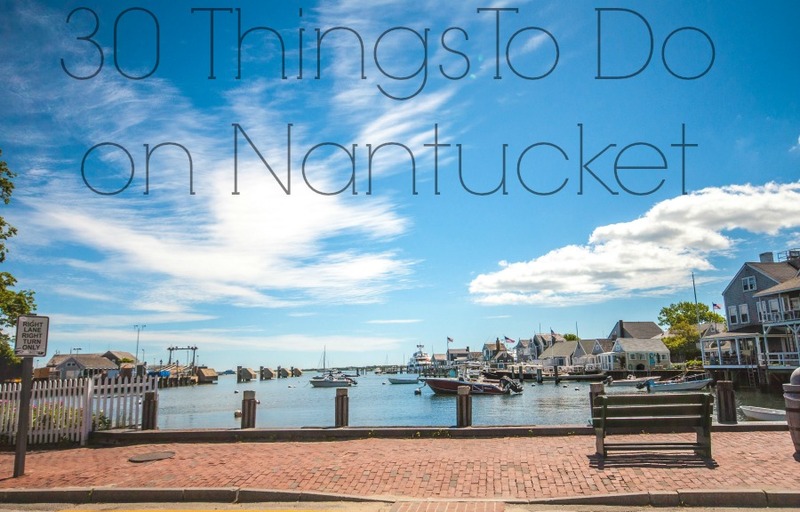 If you’re making your way to Nantucket this summer, we’ve made a list of the top 30 things to do while on island. Whether you love shopping, eating, drinking, or just relaxing on the beach, we have got you covered! Start your morning with a shot of espresso at Handlebar Cafe. Take a bike tour of the island with Nantucket Bike Tours. Spend a rainy day exploring the Whaling Museum. Take a picnic to Sankaty Head Light. Do a beer or wine tasting at Cisco Brewer. Enjoy a BYOB breakfast at Black-Eyed Susan’s. Spend the day seal & whale watching with Shearwater Excursions. Visit the Nantucket Lightship Basket Museum. Take a private surf lesson at the Nantucket Island Surf School. Watch the loomers at work at Nantucket Looms on Main Street. Go on a romantic date at The Galley Beach restaurant during sunset. Relax during a yoga class at the Yoga Room. Treat yourself to a spa day at RJ Miller Salon & Spa. Visit the Nantucket Shipwreck & Lifesaving Museum. Grab a dozen warm doughnuts at Downyflake. Go on a Hinckley Harbor Cruise during sunset. Take a fishing charter out with Captain Tom and spend the day fishing for dinner. Attend a wine tasting at currentVintage. Play a round of golf at the Miacomet Golf Club, an award winning link style course. Go out on the water with Paddle Nantucket and learn to stand-up paddle. Shop for classic Nantucket Reds at Murray’s Toggery Shop. Pick up some local honey at Petticoat Row Bakery. Spend a rainy day ice skating at Nantucket Ice. Visit the Maria Mitchell House, named one of the top ten women’s history sites. Shop around Main Street Nantucket to favorite stores like The Lovely . Stop by Old Mill, the older operating windmill in America. Explore the Natural Science Museum. Hike the trails of the Coskata-Coatue Wildlife Refuge. Indulge in artisan, hand-made chocoaltes at Ambrosia Nantucket. Star gaze at the Loines Observatory.